Once again, Labrador retrievers have been labeled America’s Top Dog for 2015 by the American Kennel Club. What’s the difference about the label this time? This year marks 25 consecutive years that Labradors have been No. 1 on the AKC’s list – the longest reign of any dog breed on the AKC’s list. 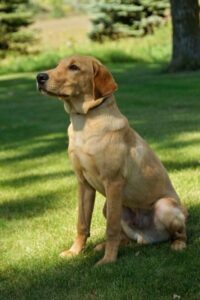 While some breeds are steadily rising on the list, we have full confidence that the Labrador will remain in this spot for at least a couple of more years. It’s not hard to see why the Labrador has been such a popular choice, either. As a whole, Labradors are great with children and friendly, happy dogs. They are intelligent animals with outgoing personalities, which means that generally speaking, Labradors are great with both other animals and strangers. They are a perfect addition to any family, and always highly enthusiastic and cheerful. Plus, with their short coat, they are very low maintenance. Due to their friendly nature and intelligence, Labradors are easy to train, too. They are primarily food driven, so using treats and dry dog food is a great way to train your Labrador. Repetition is key to getting a Labrador to learn quickly. Their high degree of trainability also means that they are able to easily learn acceptable behavior, including when to play and when to behave. However, some higher energy Labrador puppies may be harder to train – sometimes, pups just want to play! Our British Labradors come from a long line of healthy and active dogs, and are perfect for use in hunting and retrieving. Since Labradors are instinctually cued to retrieve animals in the field, they have a high drive to go after items and play – they love to run after items and be outside! It’s also what makes them such a great choice as a bird or hunting dog. British Labradors are also perfect for someone who enjoys spending time outside. With their playful nature, they’ll enjoy spending time exploring just the same as you. Labradors can also have variable personalities and energy levels, meaning that high-energy Labradors are perfect for a more active person while a more mellow Lab is perfect for those who are more laid back. With more than 30 years of experience breeding and training Labs, we are sure to find the puppy that will be a perfect match for you and your family. If you are considering adopting a British Labrador retriever, give us a call today at 218-685-5103, or take a look at our upcoming litters online now.